I love Easter-time as for me it reminds me of all the positive aspects of Life Coaching and springtime. It moves on from death into new growth and because of all this new growth the animals start reproducing to maximise the opportunities of great abundance. Easter-time and Life Coaching are full of energy, opportunities and new growth. Most people are excited when Easter-time arrives as it brings with it new life in all its forms and I always feel the same excitement when I am coaching my clients. Usually when a client comes to me for coaching they have been doing the same old routines a bit like the living dead. Easter-time usually is accompanied by sunshine which brings out the best in people, it invigorates, it warms, and it lifts human spirits and provides the energy and impetus to take action. Life coaching does the same, it brings out the best in people, it energises clients, it lifts their spirits and confidence and it gives them the impetus to take action. It warms both the client’s and the coach’s hearts. 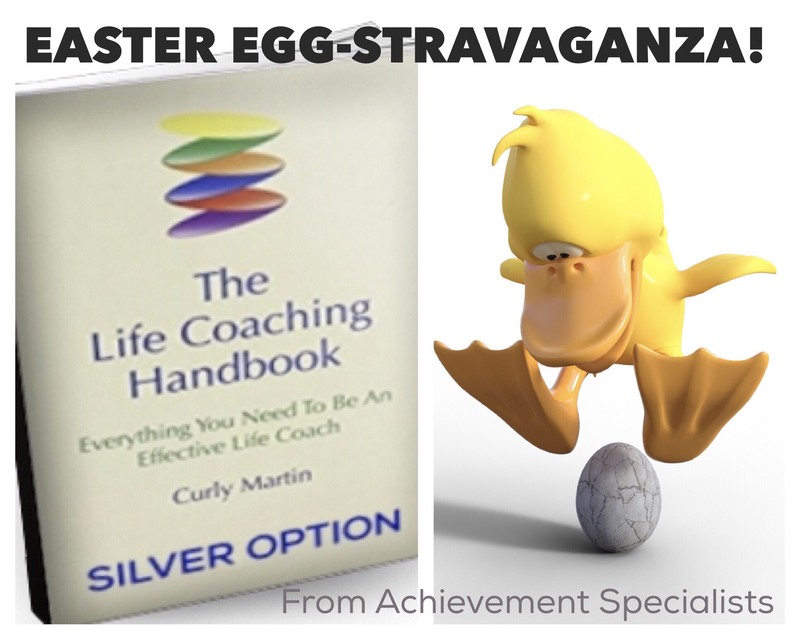 I love Easter-time and I love Life Coaching as both of them encourage growth and potential and I want to encourage you to grow to your potential so I have put together this Easter offer to inspire you to become the best you can be, so that others can, because of you.